How do you become fluent in Japanese? Is learning Japanese hard? This article hopes to help answer these questions. Mastering fluency in any language is an elusive concept because fluency is relative. It’s more or less a spectrum. Fluent doesn’t refer to a single standard but instead to a number of different levels. In Japanese, you can take the JLPT which is perhaps the best indicator of the levels of fluency. The N1, for example, is the hardest level to master and despite years of studying one might do to pass this exam, you can still not be “perfectly” fluent. For myself, I’m nowhere near an N1 level but I can carry on conversations and when I lived in Japan, I had no problem getting around and talking to people. By some definition, this might be called fluent, but certainly nowhere close to perfectly fluent. Learning Japanese is actually not that hard. Most people are inherently intimidated by a language that looks foreign. But in reality, Japanese is quite an easy language to learn, conceptually and grammatically. It’s incredibly efficient and free of superfluous and confusing grammatical demands. It’s straight and to the point without redundancy. The best thing about learning a language though is that you begin to think differently, as conditioned by the language which is a reflection of the culture. Japanese culture is refined in its detail for all things, but also its simplicity and efficiency. Learning this language has certainly influenced my way of thinking for the better. That’s a good reason enough to learn Japanese! The are no accents in the Japanese language (unless you go to some place totally remote and cut off.) This makes it a lot easier to hear and speak. The language is largely inference based meaning when you speak it, you don’t need to worry about constructing perfect grammar to get your point across. When speaking with inferences, you can easily carry on conversations with ease. Also, the two alphabets consist of vowel clusters which are incredibly easy to both remember and understand. What's the best way to become fluent in japanese? Whatever you do, do not use Rosetta Stone. I used this program years ago for just a few weeks before I had to just stop. Unless you want to spend hours wasted every day tapping keys on a computer, only to grasp a few words like neko (cat) and ringo (apple), then it’s totally not worth the time. I also tried Pimsleur and I sat through about 60 hour long lessons of this ridiculously dull series that made learning Japanese feel like drudgery. But, it’s a lot better than Rosetta Stone in terms of content. The best way to learn any language is through straight up immersion but if you can’t move to Japan, the next best thing to do is to use Japanese Pod 101. Even if you don’t live in Japan, this podcast is insanely awesome. You’ll pick up more from these conversations than actually living there! This website is honestly a miracle. It’s subscription-based but if you’re serious about mastering the Japanese language, there’s no reason not to get it. It’s seriously the best thing I’ve found out there for learning Japanese and for becoming fluent in Japanese. The podcasts aren’t dull, but consist of lively lessons ranging from newbie to expert. With a subscription, you can get access through an app but also word banks and vocabulary lists online. The program is easy to use and you are able to gain access to dialogue that directly immerses you into real-world conversations. You can easily check off which lessons you finish and then move on to new ones. In addition to Japanese Pod 101, if you’re looking to become fluent then obviously you’ll need to learn how to read Japanese. Learning to read Japanese is a bit harder, only because you need to master a great number of Kanji to fully be able to read it. The Japanese language consists of two alphabets, Hiragana and Katakana. Katakana is the alphabet strictly reserved for foreign words. If you’ve ever had trouble understanding a Japanese pronunciation of something foreign like “McDonald’s” then it’s because the Katakana translation notoriously takes foreign words and makes them sound almost laughably unrecognizable. Learning these two alphabets should take no more than two weeks because it’s honestly just easy memorization. The best way to learn each is to practice until your memory of them is innate and intuitive. Once you have this down, you can then work on learning Kanji. Kanji is where things start to get hard because you’ll need to learn about 2000 kanji to gain a common degree of fluency. But, if you want to learn Kanji, there are a few good books that help you practice and memorize the characters. Subscribe to NHK or start watching a Japanese soap opera or anime. I often hear of success from people who begin watching soap operas because the suspense demands consistent interest. In the end, hard work and time are most necessary, but success is most probable with the best tools. 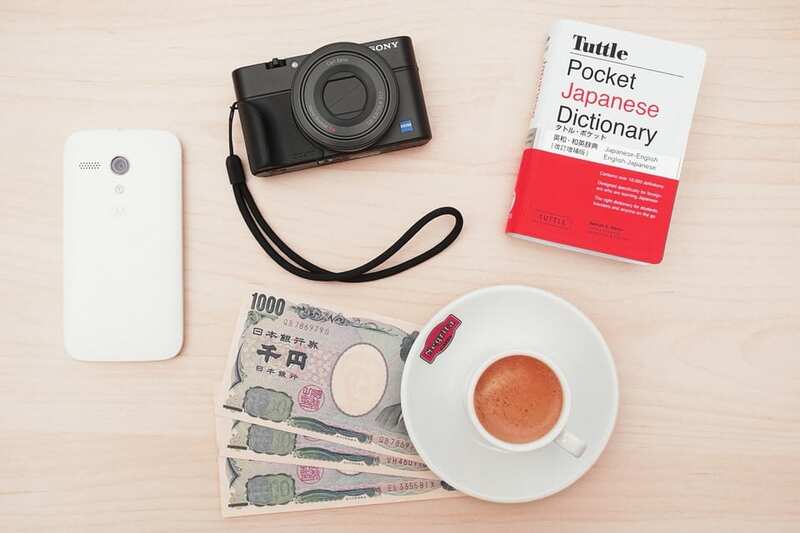 But with these tools, anyone can become more or less fluent in Japanese! First of all, hello! I’m visiting your blog for the first time and I’m amazed, as well as inspired, that you lived in Japan for so many years. I have been wanting to travel slowly through this country for so long and learn more about the culture. Foreign languages are beautiful and, having learned Gaelic for a two years, I completely agree with you that understanding a language gives one insight into the mindset of a group of cultural people. Even though I don’t know when I’ll have the chance to visit Japan (hopefully within the next two years! ), your post has inspired me to consider either starting Japanese or working on mastering the two languages I consider myself still to be very much at the beginner level (Gaelic & Spanish). Hi Tara! Thank you for the comment! I’ve been super busy the last month and haven’t had time to respond to much. I’m so happy that my post has inspired you to consider learning Japanese or another language. Japanese Pod 101 is really an excellent way to learn. Good luck to you! Japanese 101 is how I learned most of my Japanese! I’ve been living in Japan for over a year a year now. Practice really makes all the difference! 🙂 Great blog Stephanie. It’s such a good program. Thanks Viola!